Because a last will and testament is such an important document, state law provides a number of grounds for contesting their validity and enforceability. 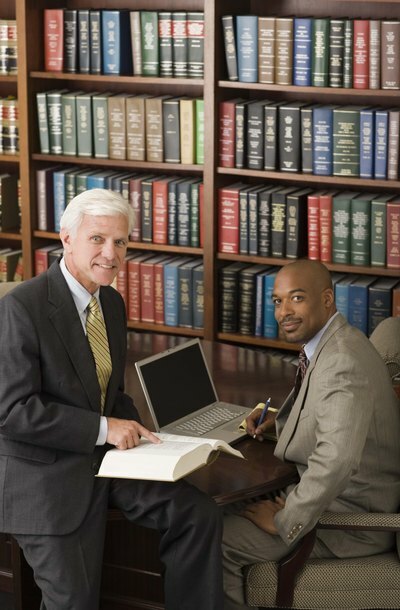 For this reason, if you are not an attorney and you write your own will, you need to take care to avoid the many pitfalls that might cause problems for your heirs after you die. Although many types of verbal contracts are enforceable, verbal wills are usually not enforceable. A will can also be disregarded if the testator -- the person who makes out the will -- is less than 18 years of age. A will can be disregarded by a probate court for technical defects, for example, if the signing of the will was not witnessed by the number of witnesses required by state law, if the witnesses did not sign the will, or if they did not sign the will in each other's presence. In the latter two instances, the court will seek to locate the witnesses and have them testify. State law requires that a certain portion of the testator's estate go to his spouse and minor children, no matter what is written in the will. The minimum portion varies from state to state. The testator may also attempt to bequeath something that either does not belong to him or that will not pass into his estate when he dies. Examples of this type of bequest include property held in joint tenancy and insurance proceeds that the testator attempts to bequeath to someone other than the beneficiary named in the policy. A common problem with the enforcement of a will is when a terminally ill person creates a will, and doubt is raised concerning his soundness of mind or memory. Other common bases for contesting a will include fraud and undue influence. Fraud occurs, for example, when the testator was deceived into believing that the document he was signing was not a will, or if he was deceived concerning the extent of the property that he owned. Undue influence occurs when the testator is coerced into making a bequest, for example, if someone withholds food or medicine in order to coerce the testator into making a bequest to him. A will should indicate that it is a will -- that its purpose is to govern the distribution of the testator's property after he dies. Even if the document does not include the word "will" in its title, the language of the document should clearly indicate its purpose. If it does not, a probate court might seek external evidence of the testator's intent. A new will supersedes all previous wills. In some cases, a will is presented to the probate court and someone later produces another will, claiming that it was signed at a later date. For this reason, a will should be dated in the handwriting of the testator, or the testator's authorized representative, and witnesses should add the date to their signatures. Several forms of will are recognized in the United States, with each individual state having its own rules on what constitutes a valid will, and under what circumstances. While a standard, attorney-prepared will that is typed up and signed before witnesses will usually be valid, other forms of wills have their own rules.